Railtex, the UK’s definitive exhibition of railway products and services, returns to Birmingham’s NEC next month. As always, the show will have an international flavour and is expecting visitors from more than 50 countries, with lots of exhibitors bringing products and services from countries in Europe, Asia and the US. Natalia Charman, exhibition manager for Mack Brooks Exhibitions, told Rail Engineer: “Since its origins in 1993, what has made Railtex unique, and why the exhibition has stood the test of time, is that it encompasses the entire railway equipment, systems and services sector, and brings together these organisations in a collaborative and informative setting. It is the definitive exhibition for the industry and anyone with an interest in the sector should look to have a presence there. “The industry continues to experience a period of growth, with passenger numbers expected to increase by a further 40 per cent by 2040. Alongside this, the transition to a digitally-led rail network and the key milestones of major projects, including HS2, Crossrail and the Great North Rail project, make 2019 a huge year of opportunity for the sector’s suppliers, buyers, infrastructure managers and operators. “Beyond the main exhibition, we will once again be offering a comprehensive supporting programme, including insights from leading industry figures and a comprehensive seminar programme across the three days. Keynotes will be provided at Rail Engineer’s Seminar Theatre while the Railway Industry Association’s Knowledge Hub will host a selection of project updates and industry briefings from key figures. 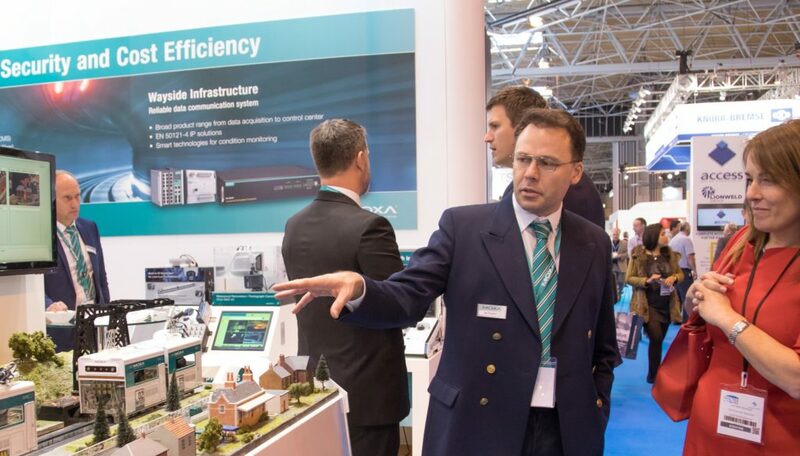 In other articles, Rail Engineer previews some of the exhibits that will be at Railtex as well as the Technical Seminar programme. For more information, including the latest list of exhibitors, please visit www.railtex.co.uk.